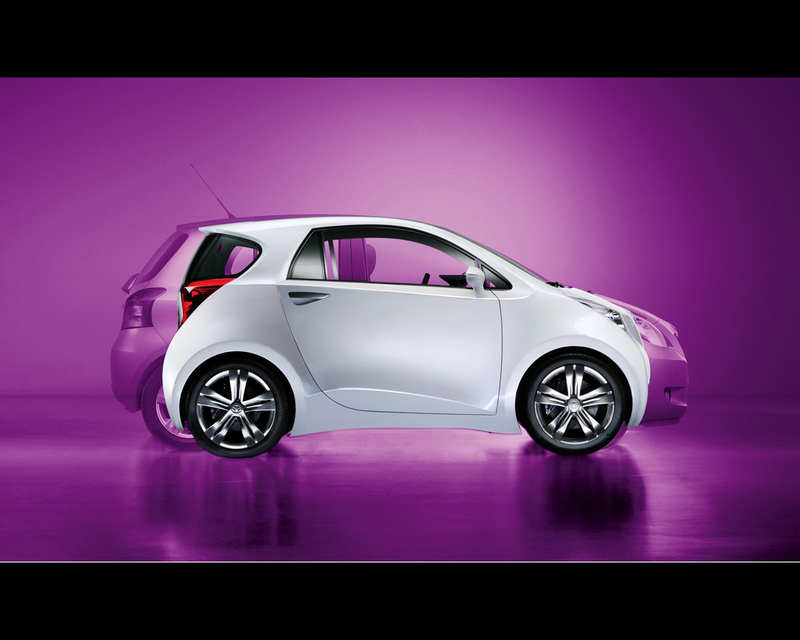 The Toyota iQ Concept Car was first introduced at the International Francfurt Motor Show 2007. 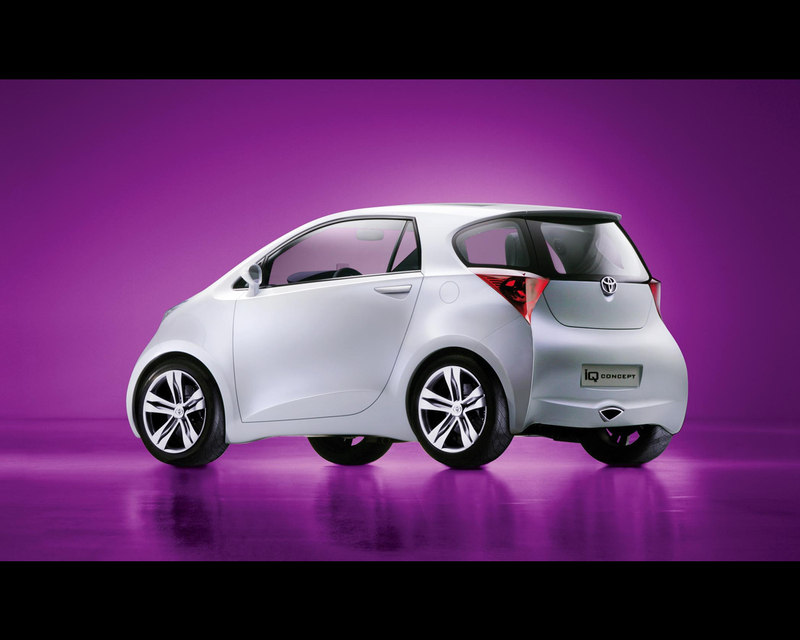 It presents a study for a small Toyota projected to enter the market in 2008. 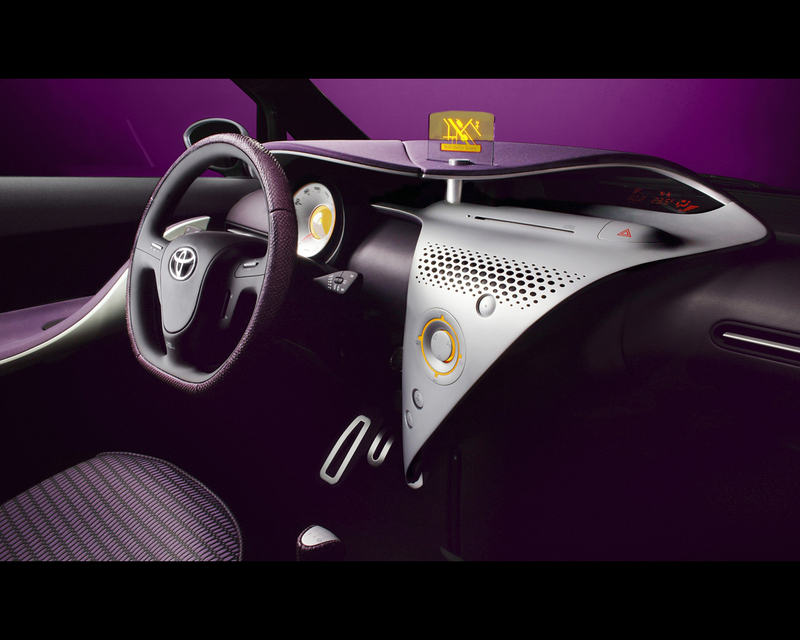 The Concept Car iQ overturns the conventions of automobile design by offering ultra-efficient packaging aimed at reducing CO2 emissions. 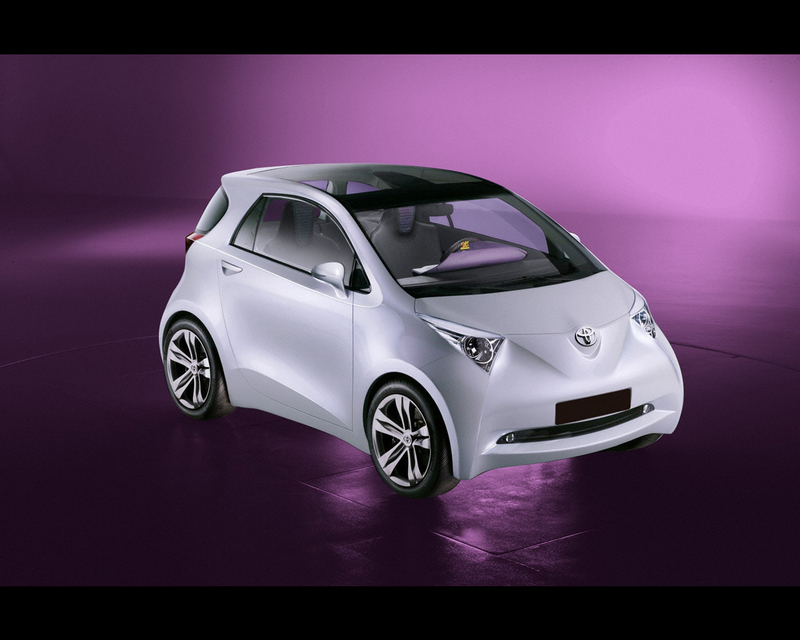 This ultra-compact vehicle maintains the status of a premium automobile even with its exceptionally short length of less than three metres. Allows for three adults and one child (or luggage) to fit comfortably inside, due to its ultra-efficient packaging, despite a compact appearance. Offers a surprisingly creative interior. Emphasizes power and stability through its exterior thanks to a short length and comparatively wide body.